I am a user of your k8055 and K8061 for a number of projects and I have had very good results. I have a HomeManagment system with weather station that I am using your K8061. It is working good on my Desktop. I also have a laptop Dell Latitude E6420 that I want to use for a backup Computer for my HomeManager as well as other projects. 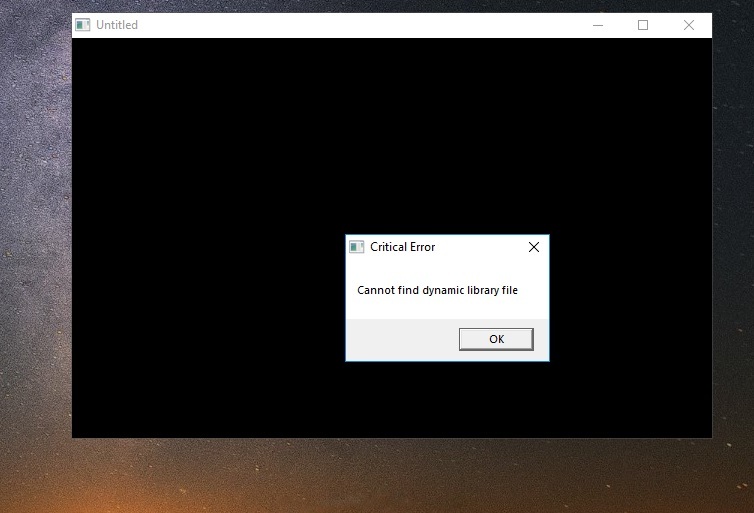 Using the same program that I use on the desktop, I get a Critical Error on my QB64 program (on the laptop) saying that it cannot find the dynamic library file, K8061.dll. I have it in the System32 folder as well as the SysWOW64 folder and the folder that the basic file is located. The K8061 Demo works great! I have also installed the driver as an unsigned driver. The laptop can also run the K8055 Demo program as well as using a QB64 program to run the K8055. If you are using the original driver version 1.0.0.6, then there must be also mpusbapi.dll copied to the DLL folder, e.g. C:\Windows\SysWOW64. Sorry, It was late at night when I wrote, I did copy mpusbapi.dll to all the locations that I copied the K8061.dll. I just tried something new. I just tried to start up my QB64 program on the Desktop without the D8061 connected by usb and it ran the QB64 program and checked for the K8061 to be connected and stopped at a QB64 programmed stop when it could not read the K8061 board. Just to let you know, The Critical Error display (Cannot find dynamic library file) on the laptop QB64 software start, happens IMMEDIATELY when the program begins as tho it is looking for the dll file before it starts running the software in the QB64 program. As you can see in the screen copy the name of the program on the top of the file display should change to a name that is in the software, but, it remains Untitled. The Critical Error display (Cannot find dynamic library file) on the laptop QB64 software start, happens IMMEDIATELY when the program begins as tho it is looking for the dll file before it starts running the software in the QB64 program. Maybe there is missing other DLL? Is there some additional error message or info that the software doesn’t find the K8061.dll ? Then I get the error, otherwise I do not. In the folders as described above. OK - It seems the K8061.dll is the program can’t find. Thanks for you prompt attention, it is Greatly Appreciated! I found the issue, on the web site I have found 2 k8061.dll files. 1 file is larger 1572 kb and a smaller file 62 kb. I was using the 62 kb file on my desktop and had loaded the 1572 kb file on my laptop, which was unable to read it. Both of my systems are 64 bit systems. Which file should I be using ,62kb or 1572 kb, and is there a difference in the mpusbapi.dll files? How about the driver? Is there a difference on the Driver and which one should I install? OK, I got it going, found the CD in the box from the i/o card. Instead of using the downloads that I had from checking the web site, I just installed from the disc, and it worked. The 1572 kb file is for 64 bit applications only. It is included to this downloads package: K8061 update for Windows 64-bit OS. I am using a Windows 64 bit pc and laptop, Why wouldn’t I use the 1572 kb software? What are 64 bit applications ? It seems that the QB64 compiles 32 bit .EXE files. So only 32 bit DLLs can be used. The 1572 kb version is 64 bit. They are programs compiled for 64 bit operating systems only. But a 64-bit application will only run on a 64-bit OS.